The Seattle Public Library “Shelf Talk” blog posts questions of the month, answered by their reference librarians. March’s curiosity happens to deal with death: the ancient practice of munching on ground up mummies for their alleged curative powers. 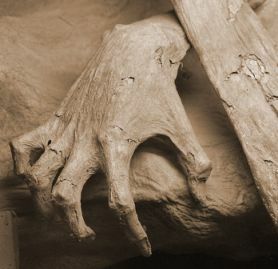 Posted by Meg Holle in Death + Technology and tagged medicine, mummies, superstition. Bookmark the permalink.